Troilus and Criseyde are shown on either side of a hexagonal table; there are plates of fruit and a flagon of drink. There is grass on the floor, suggesting a courtyard. 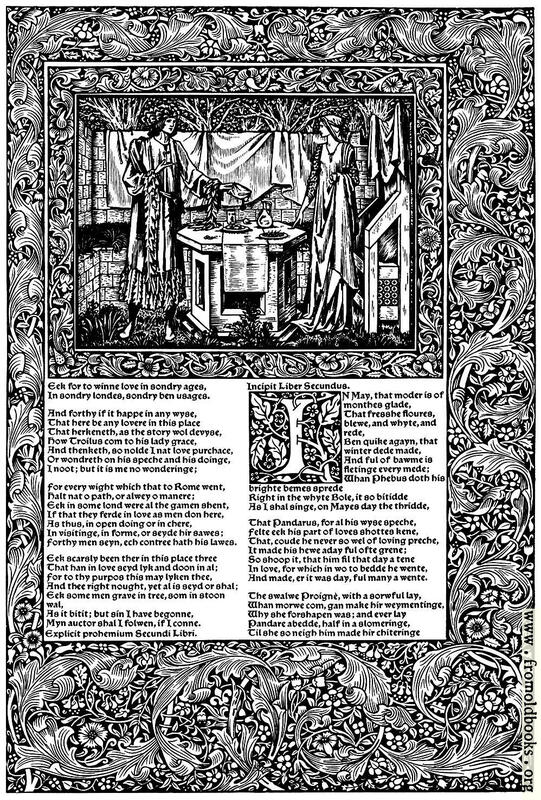 This illustration is the start of Book Two of Chaucer’s Troilus and Criseyde.